Human corneal epithelial cells cultured on hydrogel matrices in air-liquid interface. 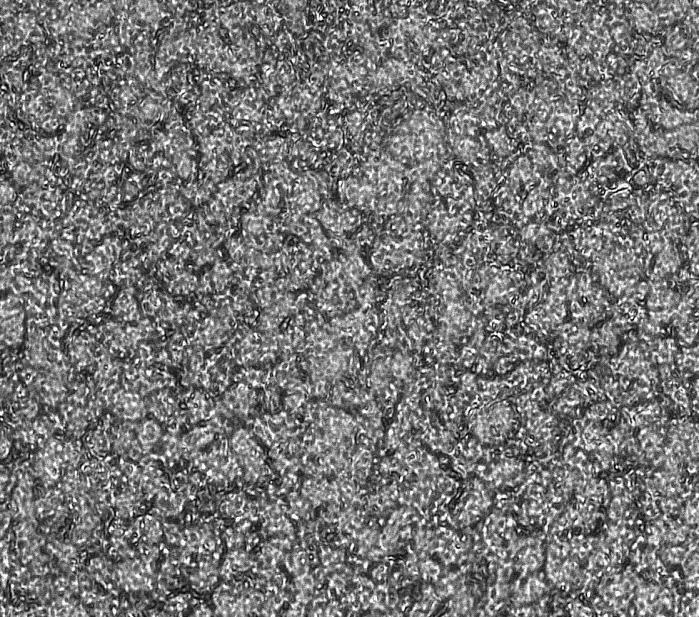 Human corneal epithelial cells were seeded on collagen mimetic peptide (CMP) based hydrogel matrix, lifted to air-liquid interface and cultured for 21 days. 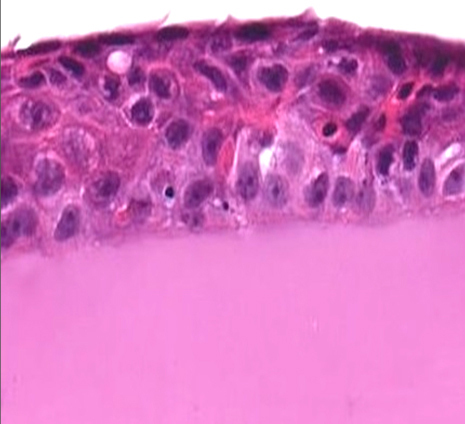 The picture of multilayered culture (left panel) was taken prior to paraffin embedding, slicing and H&E staining (right panel). 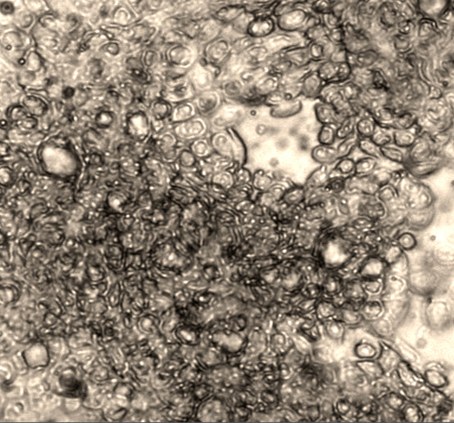 Human skin keratinocytes cultured on hydrogel matrices in air-liquid interface. Human skin keratinocytes were seeded on collagen mimetic peptide (CMP) based hydrogel matrix, lifted to air-liquid interface and cultured for 21 days. The picture of the multilayered culture (left panel) was taken prior to paraffin embedding, slicing and Hematoxilin&Eosin staining. 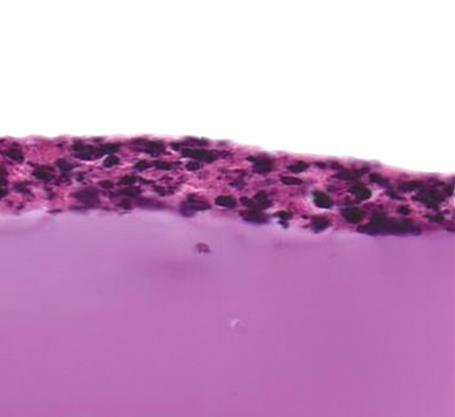 Multilayer stratification is visible in CMP-based culture with a basal level composed of uniform cuboidal cells and an upper layer composed of flat, compacted and cornified cells.